Discussion in 'UFOs, Aliens, Monsters, and the Paranormal' started by Bill McDonald, Jun 15, 2015. The bright spots on Ceres seem to be windows into the minds of Conspiracy Theorists, but I don't think we will find any intelligence there. Can anyone help debunk this? 1. The spots are bright, regardles of the orentation of the planitoid, or the camera relative to it. 2. They are too bright to be reflected light. No knowing what something is does not make it artificial, it makes it interesting. From what I'm reading on the NASA sight, the brightness may be a matter of contrast in the material, rather than luminosity. Yes, according to NASA it has a high reflectivity. The light is consistent with reflected sunlight off something with an albedo of around 40%. The angle is irrelevant, there's no atmosphere, so if it is in sunlight, then it will be reflecting about the same amount of light (proportional to the cross-sectional area facing the camera). If it's brighter than a certain amount, then it will get recorded as white. It's not like a mirror, it's more like something that matt white. As an experiment, I took a black camera bag, and inserted a piece of white paper into one strap, and illuminated and filmed it from about 40 feet away. I used a 1000 Lumen tightly focused beam to most closely simulate sunlight without too much ambient scattering. I rotated the bag. Now the bright spots are exactly the same brightness in every frame, because they have been over-exposed. Even if the bright spots here were 100 MW lasers aiming straight at the camera, they could not get any brighter, they are simply white. 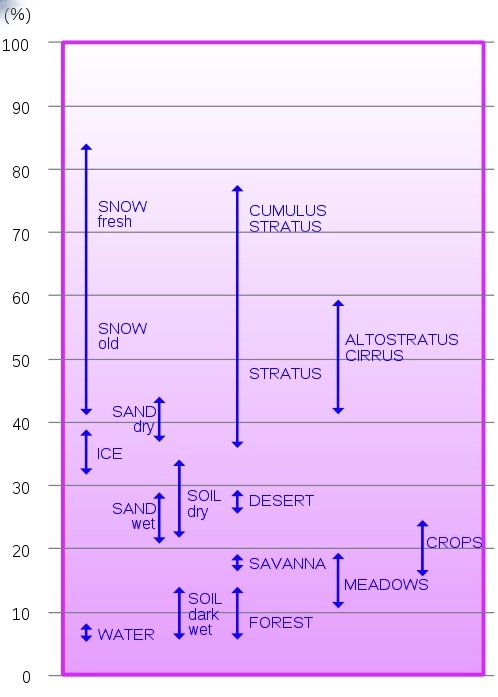 The light is consistent with reflected sunlight off something with an albedo of around 40%. Which isn't really that bright - Vesta, the other asteroid visited by Dawn, has about the same overall albedo as these bright spots. 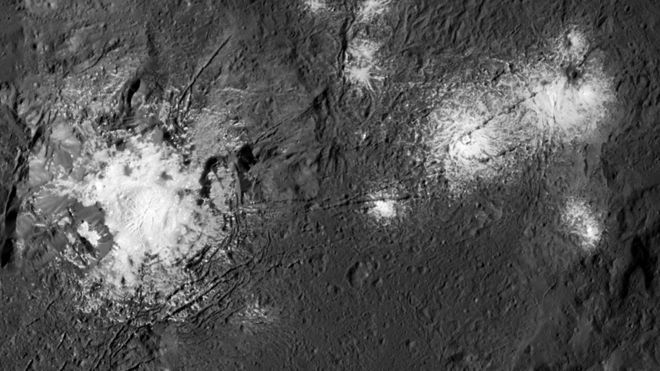 Ceres, however, has an albedo of 20, and photographs have to be adjusted to suit. You can see in recent pictures, they're dialing in settings to get some details out of those spots. 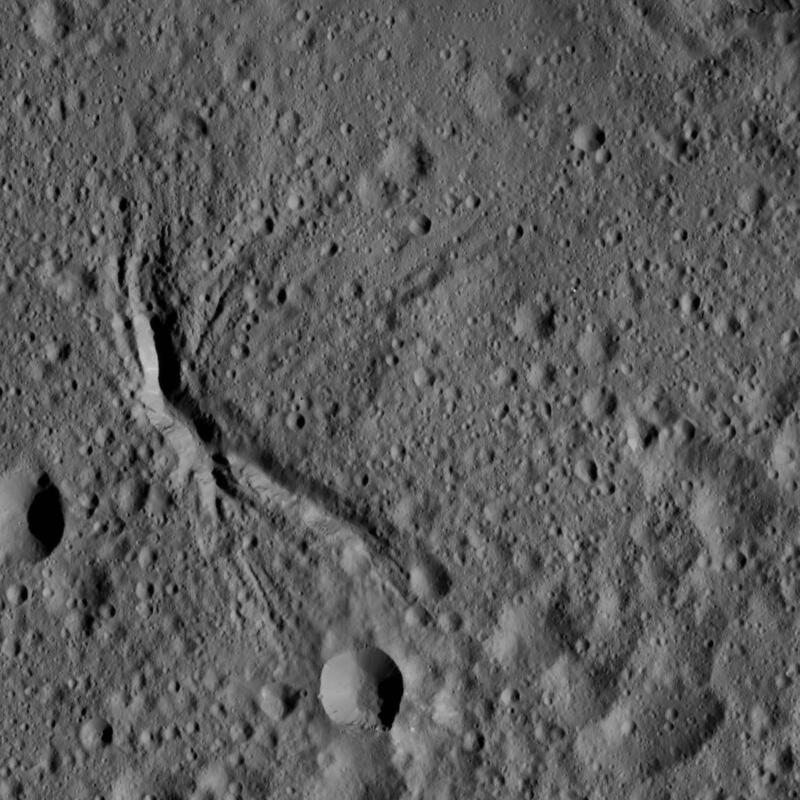 There's also a lot more of them, besides the large ones that were visible on approach, there's small ones all over the place, many of them associated with landslide features, which seems to support the idea that it's ice, as Ceres is believed to have an ice mantle (up to 25% of its mass is water and early observations have almost completely ruled out a liquid mantle or cryovolcanism, so there's not many other places you can keep that much water). There's some evidence that they're dynamic features, as well. 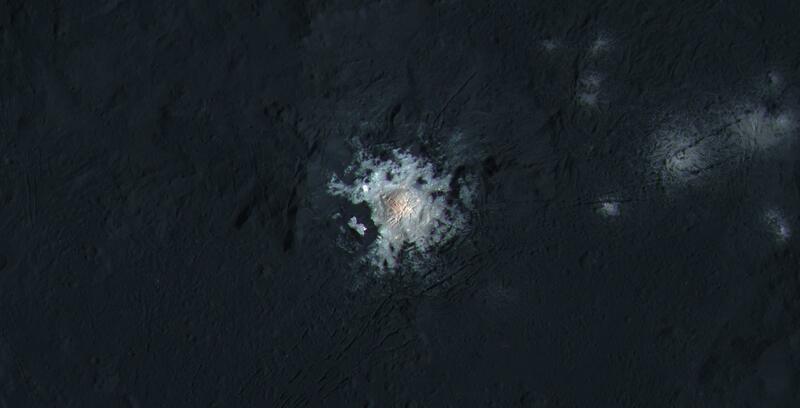 In 2004, Hubble observed a strange bright spot on Ceres, and analysis of its rotation has concluded that the main feature Dawn has seen is not the same spot - Hubble did not see this spot during its observations, and the Hubble spot has not been seen by Dawn. Right now Dawn is in a high survey orbit, at 4400 km from the surface. In a couple months it'll drop to 1470 km for detail mapping, and in December to 375 km for close up observation of points of interest. It'll be easier to resolve surface features in the bright spots at lower altitudes where most of the picture isn't of the coal-black surface. Claim: "They still SHINE even when the rest of the crater is covered in shadows at sunrise and sunset. This is impossible by the laws of physics -- unless, of course, they ARE actually 'lights'." Of course they do; he keeps fu messing with the contrast to brighten them. If he'd stop that a lot of the images would be pretty unremarkable. I'm hoping they're solar panels, it gets cold that far out. Heaters! It seems there might be an atmosphere after all that's only present within the crater walls. They theorize based on recent readings from the Dawn spacecraft that the material in the crater is sublimating material into the immediate area creating a small atmosphere. Pretty amazing. Which could also lend credence that ice is the most likely explanation for these bright spots rather than salt. So, Dawn is in its lowest orbit now, and is starting to get some really good details. Now we can get a great look at those spots. They are magnesium sulfate, commonly known on Earth as epsom salts. It's believed the ice in Ceres' mantle isn't so much water as brine, where it's exposed the ice sublimates but the salt does not, much like the salt flats left behind when salt lakes dry up. Resolution is preserved in the mosaics. You do lose some pixel count in the overlaps, but not feet-per-pixel resolution. Anything you might lose, NASA still has. Dawn doesn't create the mosaics itself, it sends the raw pictures back and they're stitched together here.